In an area famed for the bounty of recreational opportunities, it can be a battle for off-road enthusiasts to gain access to trails. A solution in Aspen, Colorado over dirt biking and 4-wheeling in a national forest took a decade to resolve. The solution formally recognizes a series of trails in the White River National Forest that dirt bikers and ATV riders have been using for decades. The agreement by the U.S. Forest Service satisfies environmental groups, the Audubon Society and a local trail riders group, according to the Aspen Times. The agreement legalizes 6.6 mile Green Gates Trail and the 1.6 mile Milepost Trail that have been used for decades into an official trail network. More than 27 miles of unofficial trail, meanwhile, will be closed. 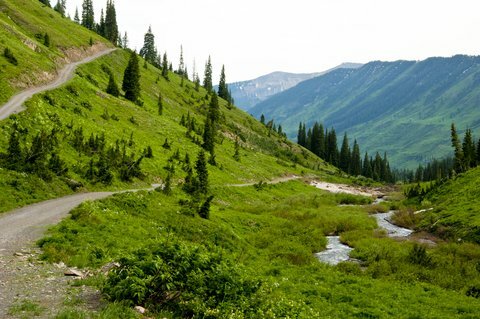 Because the trail system in the area has historically been limited for ORV and dirt bike use, enthusiasts have had to go further afield for their recreation, often choosing the San Juan National Forest and its Aspen Loop Trail, which is open to motorized bikes and ATVs, as well as available for hikers and horseback riders. That trail system is vast enough to offer 3-5 hours of driving time through scenic terrain that begins at 9000 feet elevation and climbs to 11,000 feet.